Warm up with this cozy soup. 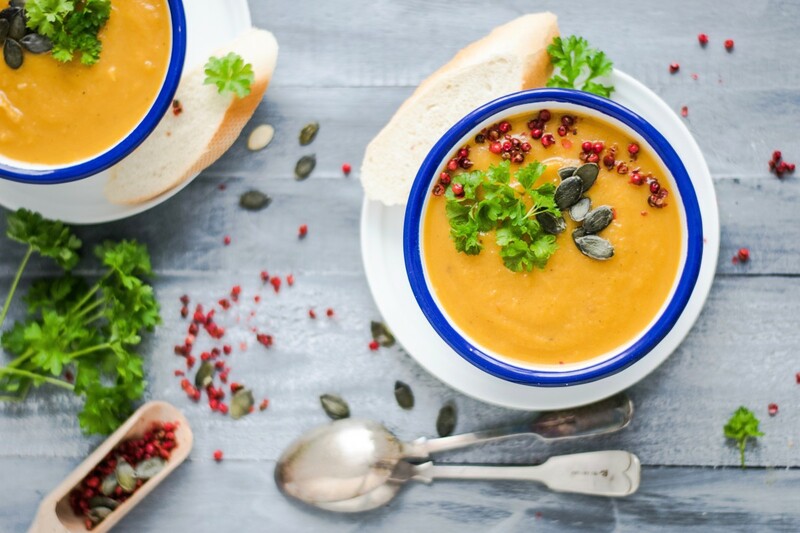 This vegan butternut squash soup recipe is a winter staple that you simply can’t live without. It is decadent, aromatic, and packed with nutritious ingredients. For the next few months, you’ll never find yourself far from a squash dish. Squash is enjoyed fried, baked, roasted, stuffed, mashed, and layered – its versatility is what makes it such an iconic autumn ingredient. However, while it’s easy and often fun to get lost in the squash season hullabaloo, it’s important to remember that the best dishes are often the simplest. 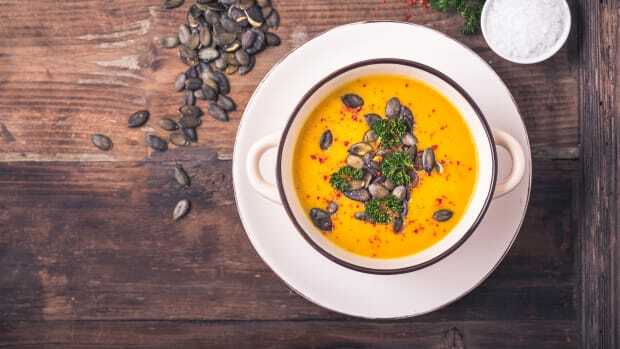 Many butternut squash soup recipes call for heavy cream and butter, which are not only highly caloric and fattening but also animal-unfriendly. 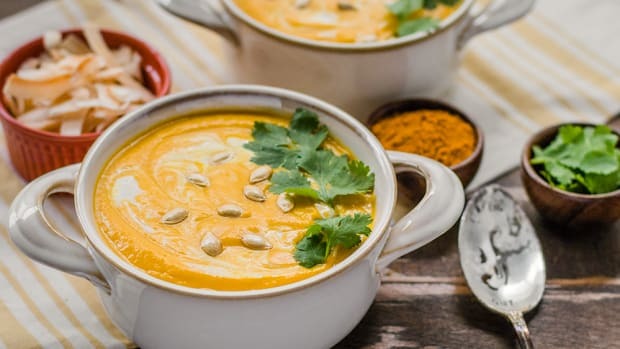 This vegan butternut squash soup recipe is vegan, relying on the creaminess of coconut milk and the richness offered by nutritional yeast to create a fully satisfying and comforting dish. 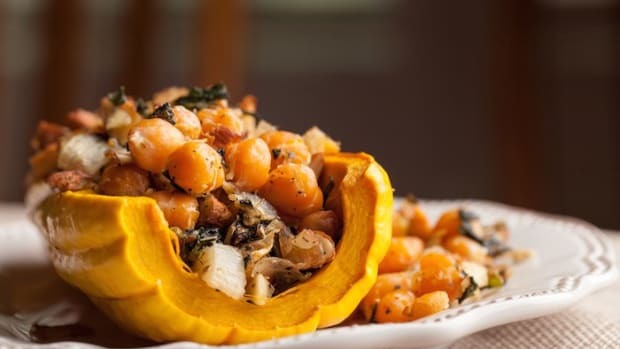 The vitamin B12-rich nutritional yeast also adds a touch of cheesy flavor, which pairs well with the inherent sweetness of the butternut squash. Rosemary, nutmeg, and black pepper join forces to bring even more spice to your palate. 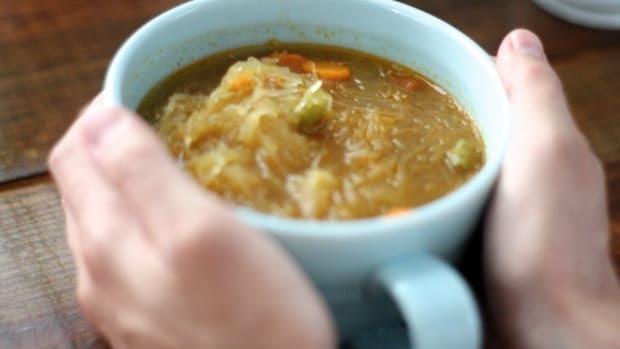 You can enjoy this soup directly after preparing it or you can reheat it the next day, when the flavors have had time to marry more fully and actually make the soup taste even better. Enjoy warm or cold. Slice the butternut squash in half, lengthwise. Remove seeds and excess flesh. Diagonally score the inside of the butternut squash. Slice the garlic bulb in half and use the cut ends to brush along the inner surface of the butternut squash. Season the squash with salt, pepper, and rosemary. Put each half of the garlic bulb in the center hole of each butternut squash half. 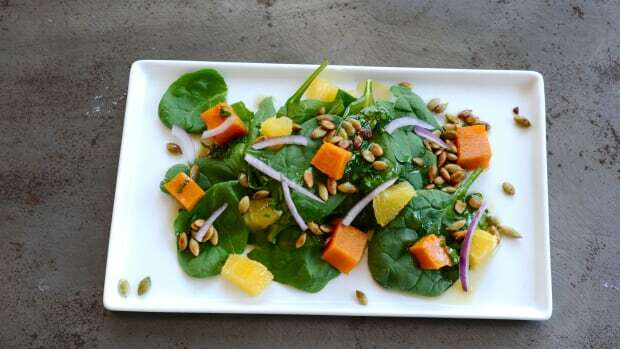 Place the butternut squash pieces on a baking sheet and drizzle them with the grapeseed oil. Use clean hands to rub the oil evenly atop their surfaces. 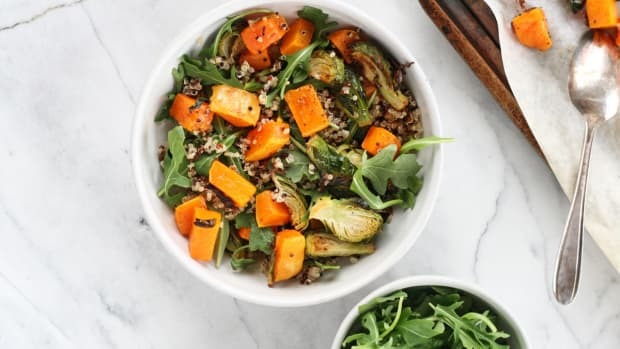 Place the baking sheet in the oven and cook the squash for 45 minutes to 1 hour, or until they have softened through the center and have turned slightly golden brown. Remove and set aside the garlic bulb halves. Scoop the flesh out of the skins of the butternut squash and place the flesh into a blender. Puree until smooth. 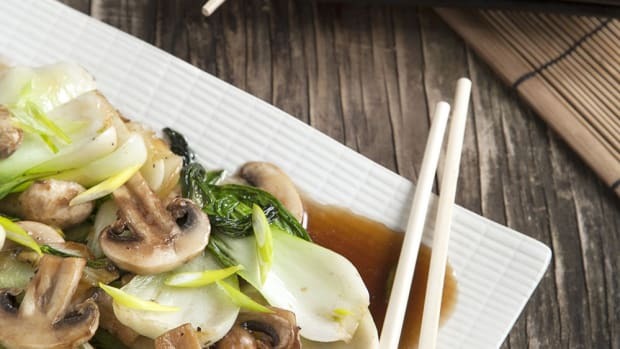 In a large saucepan over medium-high heat, add the grapeseed oil and chopped onion. Stir for 2-3 minutes. Toss in 4 roasted garlic cloves, ½ teaspoon sea salt, ¼ teaspoon black pepper, and ¼ teaspoon dried nutmeg. Add in the roasted butternut squash puree, nutritional yeast, and vegetable stock. Stir. Once the mixture reaches a boil, reduce heat to a simmer and let cook for 8-10 minutes. Add in the coconut milk and simmer for another 5 minutes. Remove the soup from the heat and let cool slightly before carefully mixing the soup in a blender. For your own safety, blend the soup in intervals – not all at once. 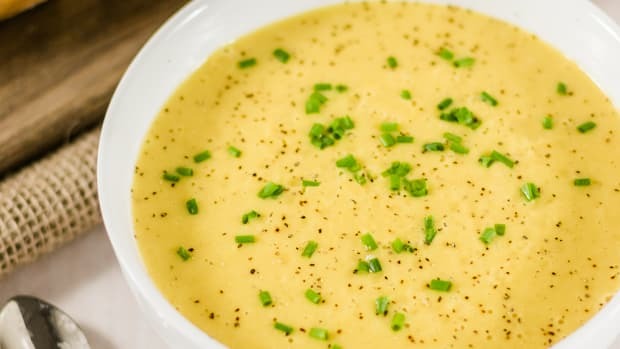 Return the blended soup to the saucepan and, if necessary, reheat the soup prior to serving. To serve, pour into bowls, sprinkle with pumpkin seeds, and add a few small dollops of coconut milk.